I had four months of living on the road in a backpack behind me, not to mention seven months of memories at the bookstore at home in Montreal; with all the drama, growth, losing friends while gaining new ones, and a new-found strength from wandering on my own that I wasn’t fully aware of yet. I got off at Busan Station, went up the ramp and through the terminal, passing a lot of businesses I recognized. There was the Happy Zone waiting area (only in Korea), Baskin Robbins, Dunkin’ Donuts, the Twosome Place, Paris Baguette, places me and my friend Jean would go to get a snack before rushing for our Seoul-bound train after a long workweek. Nothing beats a Friday night trip, by the way. Rushing out of your weekday life, packing up a few things and meeting up with the people who matter most to you at that moment in time to have an adventure on the two days of freedom you have a week. But this time it was a grey, muggy and welcoming afternoon (a typical sweaty summer day in South Korea) in the balmy city of Busan in the south. I was alone, and it had been over a year since I left Busan; the city I lived, loved and worked in for 14 months. I left Montreal at the beginning of March and with my backpack I saw the end of winter in Shanghai, an entire spring in over ten provinces in China (complete with plum blossoms, cherry blossoms, palm trees, and then typhoons in Hong Kong,) to a sweltering Chinese summer. 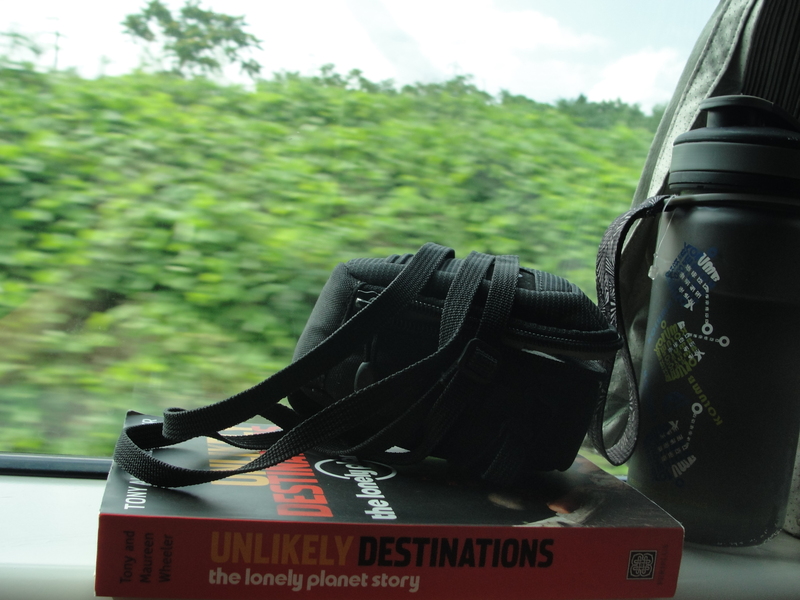 I shared my last few weeks in the country with bubbly Chinese twenty-somethings on their two-week vacation in July. And my good friend Maria, who spent her first week of vacation showing me around Beijing as well as a weekend in Tianjin. But China was getting too hot and summer camp season was fast approaching in Korea. My good friends and co-workers from Busan were in the middle of their second teaching contract and hooked me up with a summer gig at their hagwon (private English school). They found me a good deal on a place to sublet in the busy, beautiful, beach neighbourhood of Gwangan-li. Jean was also planning on returning to Busan for two weeks before a solo end of summer South East Asian excursion. How could I NOT go? A job, old friends, and an old home? So, after unsuccessfully nailing down a boat ticket from Tianjin to Incheon (summer vacation time in China=impossible for a traveling foreigner to get a ticket to anywhere) I did the expensive thing and bought a last-minute flight from Beijing to Seoul. After what felt like my hundredth Chinese train ride, we arrived at Dongzhimen station in Beijing. I hugged Maria goodbye and told the Mainland I would see her soon, whenever that might be. For lots of departures, it’s always “see you again”. In Chinese, goodbye or再见 (zaijian) literally translates as see you again. It took me a few years of wandering to really get this. To really understand that you never do know when it’s goodbye, or that there never really is goodbye. With people who matter to you and countries that stick with you, it’s all one big zaijian. 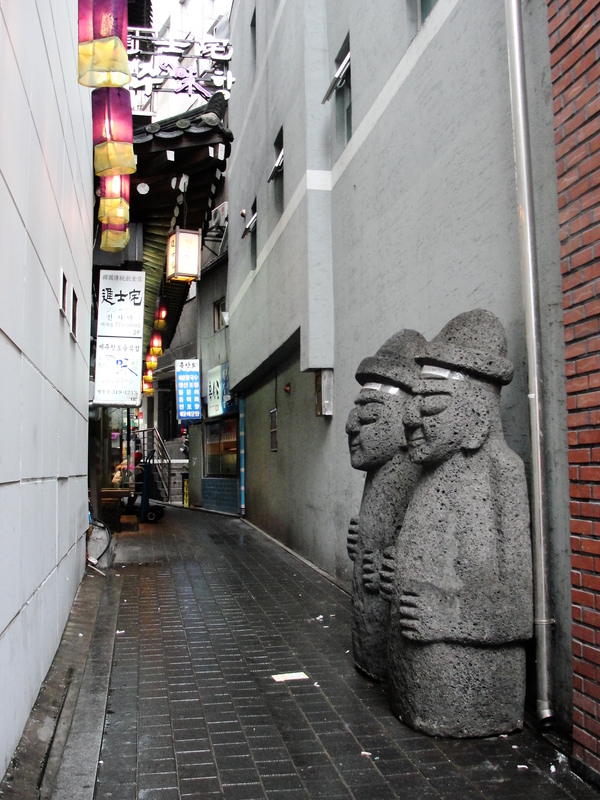 My excitement for returning home to Korea overpowered any feelings of loss I had for China. On a financial level I couldn’t really turn down a job, even if I did have to pay to cross a sea to get to it. Also the thought of waking up in the same space for an entire month, in a bustling area like Gwangan-li Beach nonetheless, made me giddy. I could unpack! I could buy food, and put the food in a fridge. I would have a private sit-down toilet at my disposal every morning. The notion seemed all too surreal after four and a half months wandering around Mainland China. These were all great reasons to return to Korea but mostly, I just missed it. I wanted to go back for a dose of the amazing life I made for myself, and what South Korea made for me during my time there. And some soju. As I walked out of Busan Station and into the city, I noticed that the smells were the same, the smiles seemed bigger and things brighter. Something is always developing in South Korea and the neon lights, high-rise apartments, a new cute themed-cafe and department stores pop-up overnight. They stretch up all the way to the DMZ before North Korea. And even when you didn’t think they’d be able to build another high-rise, they do. And it still doesn’t stand as tall as the mountains, which rest so calmly as the backdrop. In almost every city along the peninsula it’s that similar scene, where the chaos of the new concrete jungle blend with the lush mountains. Maybe there’s a temple on the mountain that’s been there for hundreds of years. You look at both; the 40-storey LG apartment building and the green mountain with a Buddha hiding amongst it’s bushes and wonder what land you’ve arrived in. Then the few moments happened when I transitioned from traveller to a “normal” citizen. I had my backpack on but I didn’t need to have anything prepared and written down in Chinese or Asian characters. I knew my way around. I knew the voice of the subway lady announcing the stops in three (sometimes four) languages. I wasn’t the only foreigner in the subway car, in the subway station and walking the street. 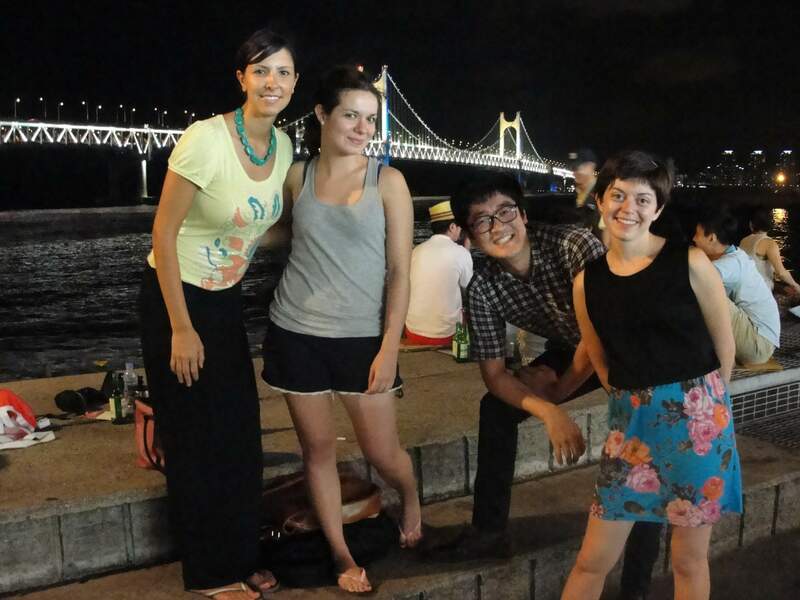 In a metropolitan city like Busan or Seoul, Westerners have been coming to teach English for almost two decades. The big city population are pretty unfazed by a round-eye, especially the young generation. No one stared, no one wondered why I had a big backpack. Koreans travel all the time. They spend weekends hiking mountains or flying to Jeju, their subtropical island to the south where most of the fresh ingredients in their unbeatable cosmetic products come from. I eventually went to Jeju and learned a lot about it, even how a big portion of Mainland China actually owns the land in Jeju. But that’s another story. When I got off at Gwangan-li station I walked up from the platform as if I’d never left, but somehow longing for the chaos and claustrophobia of Chinese subways. Sometimes coming “home” isn’t that sigh of relief you expect it to be, or want it to be. But at least there are some friendly faces to see at the end of the day. I knew which exit to take; I didn’t need to spend time scrambling around trying to find a map I could read…do I go West? East? North? I walked down to Gwangan-li beach as if it was a year prior. I found my new apartment with my new key thoughtfully put in the mail-slot for me, checked into my new place, showered and UNPACKED! I was back home, and had a new home, even if it was only for five weeks. Then I left to spend the evening with old friends. By the way, I’ve been a vegetarian for over ten years. The first time I was in China, back in 2009, I ate all kinds of animal things I never thought I would, in the name of politeness and also in the name of survival. You order plain rice in China and there’s likely to be pork bits in it. Don’t get me started on what you get if you order tofu. But I didn’t let that experience break me. 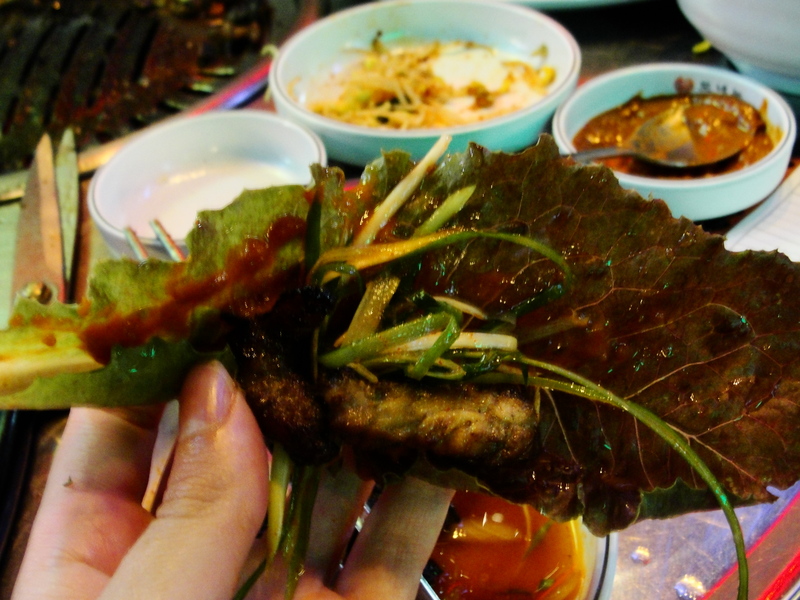 When I moved to South Korea a few months later I went back to being “vegetarian”. I could afford to because I had a paid teaching job, and I lived in a developed city with all kinds of food options, even a chain of vegetarian restaurant called the Loving Hut. And my good friend Norah and I loved to go for Vietnamese veggie wraps at Green Hanoi. So many options, so little time. BUT during big group dinners when my friends and co-workers indulged in juicy barbecue, I stuck to the rice and greens. Some seafood too. And those boiled eggs. So the top-notch Korean dishes like Samgyupsal, galbi and bulgogi (all involving fatty delicious parts of the pig and cow) I left to my imagination. But there I was, having just finished China trip number two where I returned to my old ways and ate anything that looked edible, regardless if it was kosher or not. I wasn’t stopping there, I decided. I ate pork in China. Heck I even went to a KFC. Korea deserved the same treatment. I wanted to truly respect its unique culture (food) and live it up Gangnam style. So I ate meat, in Korea. It was so amazing that I didn’t even feel (too) bad about it. Describe the rest of the summer. Juicy barbecue, great friends and beach time. Who ever said you can’t go home again? You can, even in the middle of a backpacking trip.